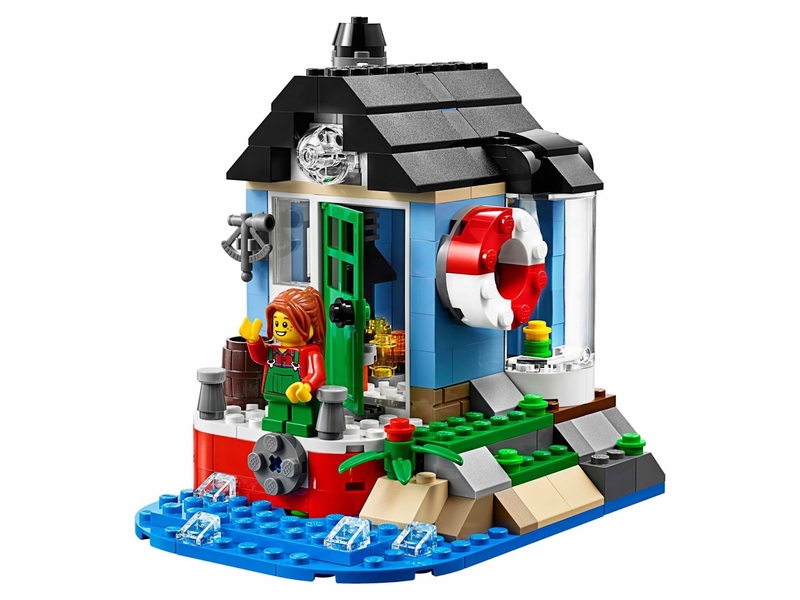 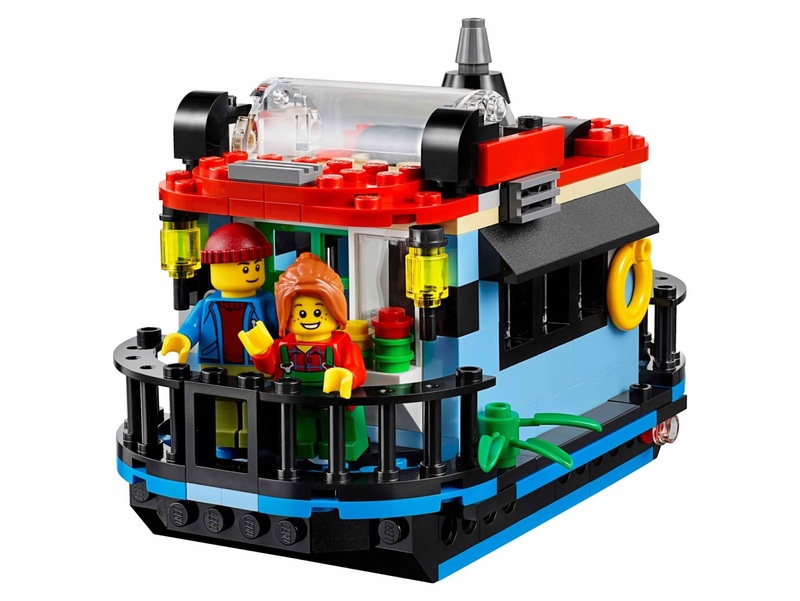 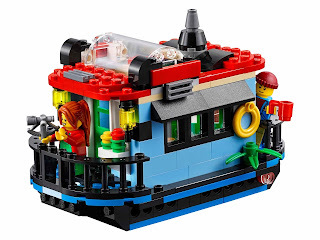 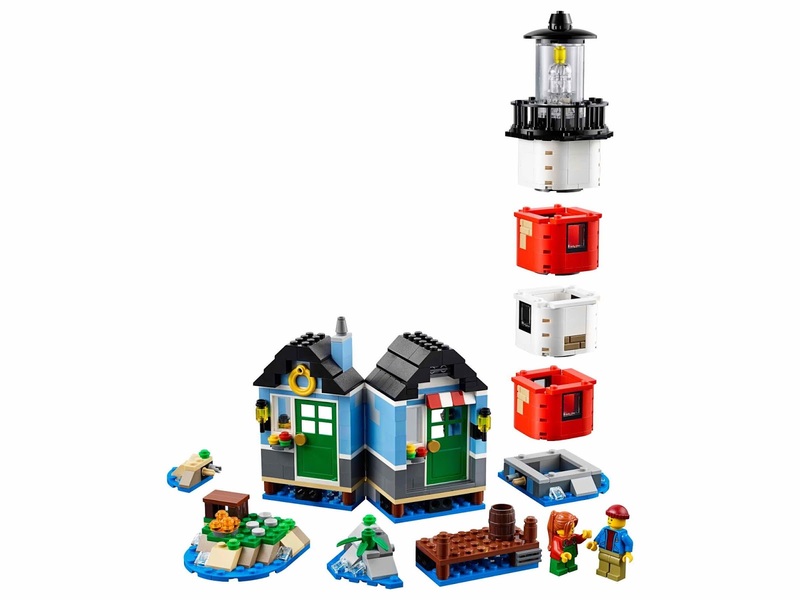 can be built into a lighthouse, a lightkeeper's cottage, a house with pier, a speedboat and a boathouse. 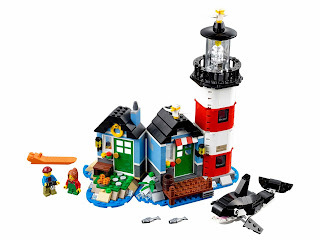 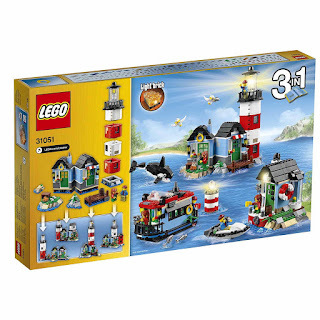 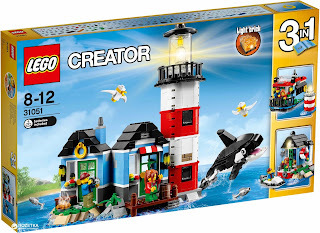 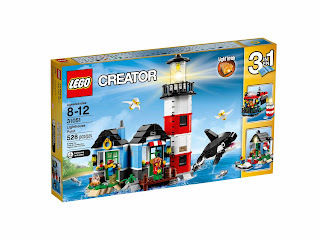 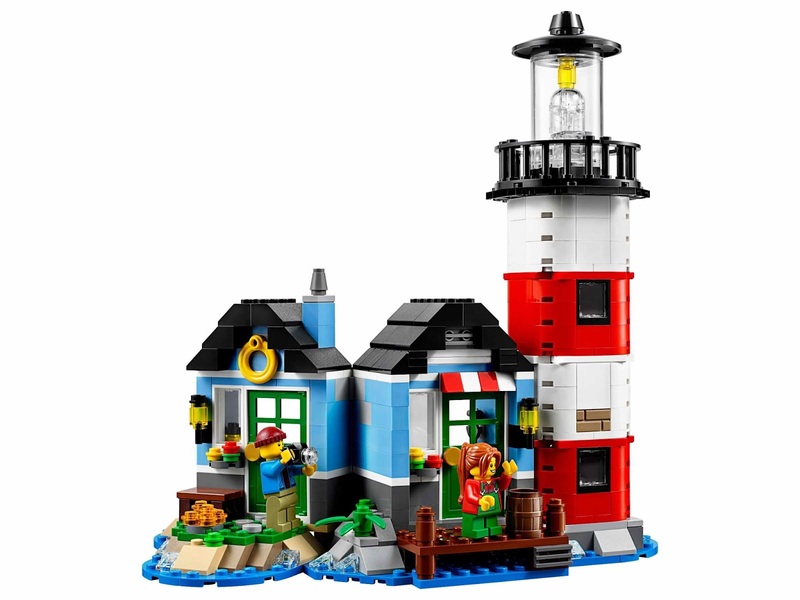 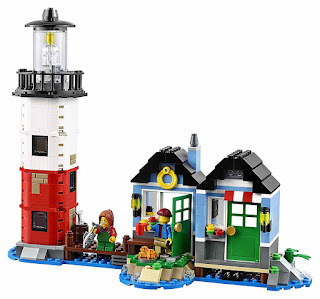 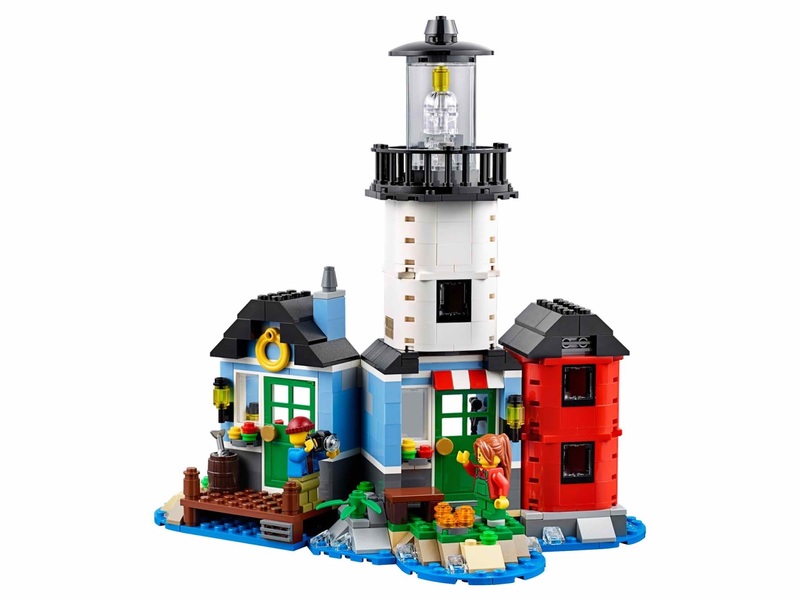 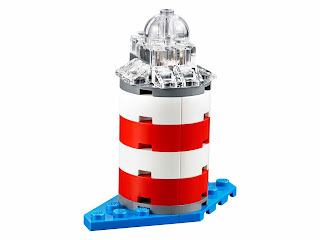 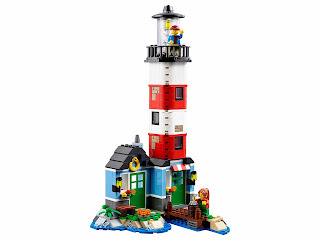 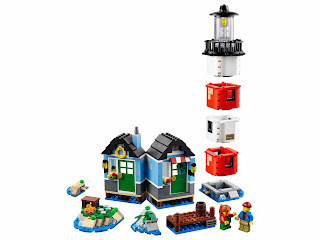 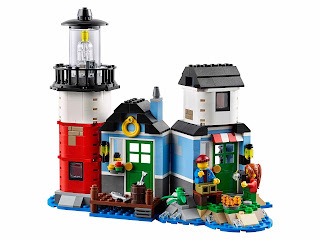 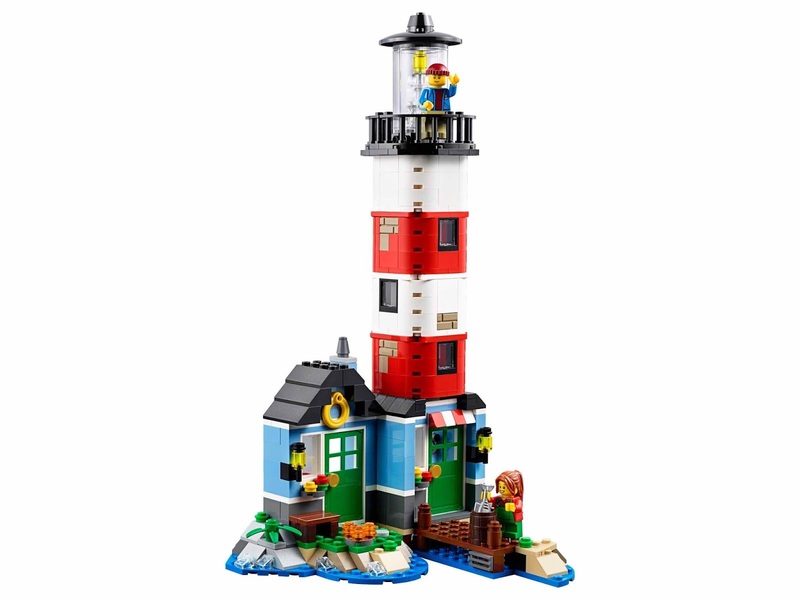 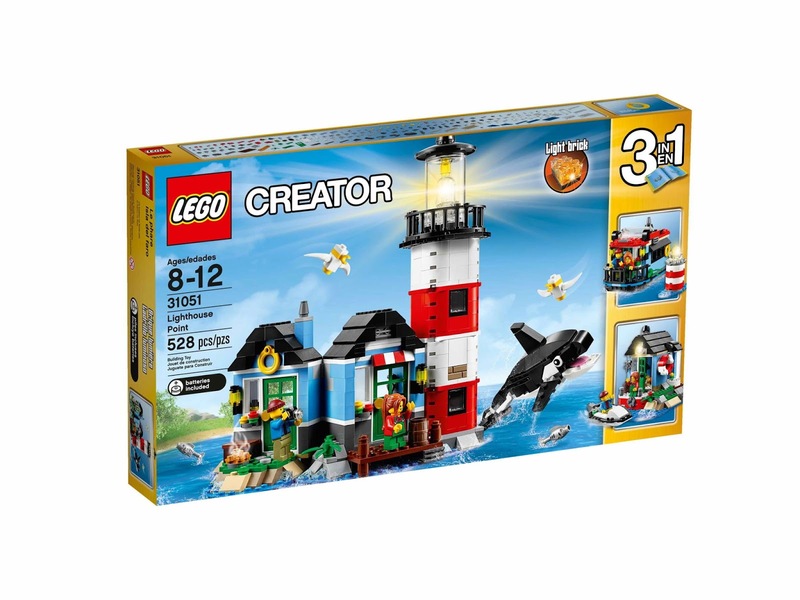 the lighthouse has a functioning light brick, a circular lookout balcony, windows and a red and white color scheme. 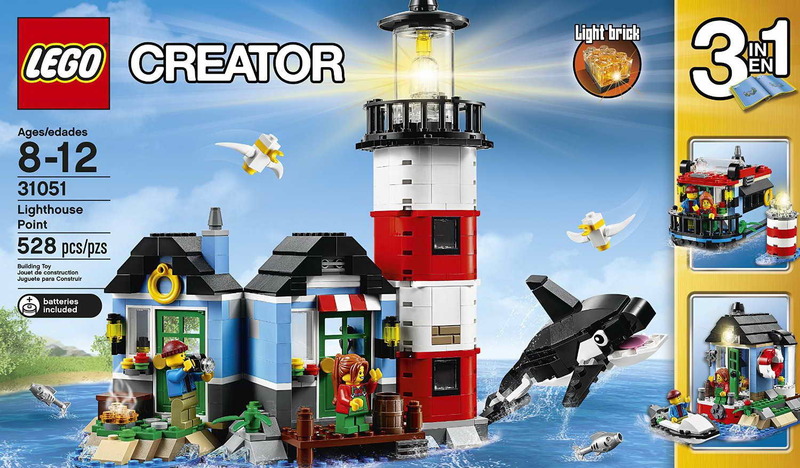 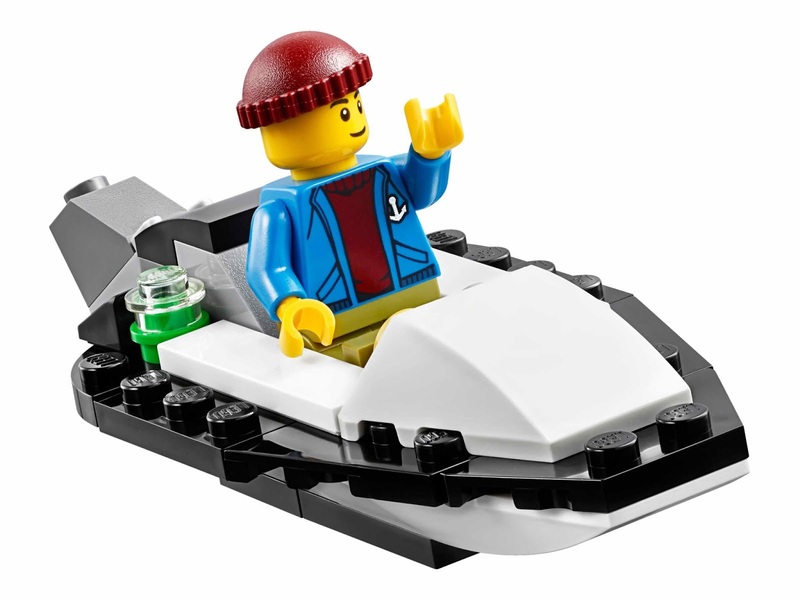 also included a buildable orca and 2 buildable seagulls.